This article should help developers to get started with Telerik UI for Xamarin suite on Windows OS. Depending on your scenario, you either have an existing app where you will add our components, or you have to create a new blank app. If you already have an app, please proceed to the next step. Use our Project Wizard to create a project that has everything setup for you. You can start using our components right away without manually adding required assemblies and modifying solution files. 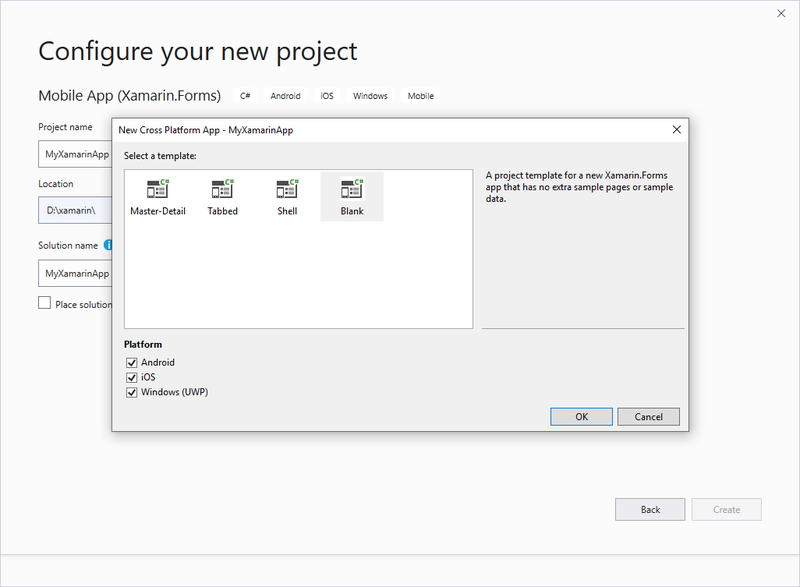 Create a blank Xamarin.Forms app and manually setup all requirements. We strongly recommend using the Project Wizard. If you choose this option, you can skip the next steps in this article and jump directly to the Getting Started section of any control. If your scenario requires using the other approach, please proceed following the steps in this article. .NET Standard/Shared: Cross platform application library that contains the shared code and UI. Android: Available on all operation systems. UWP: Available only for projects created with Visual Studio. You can use our Telerik NuGet package server to include our suite in your solution and/or update to the latest available version. The hard way is to add all required assemblies manually. We have added a special section in each control documentation that lists all the required assemblies. The section is called "Adding the required Telerik references" and is located in the Getting Started article for each control. 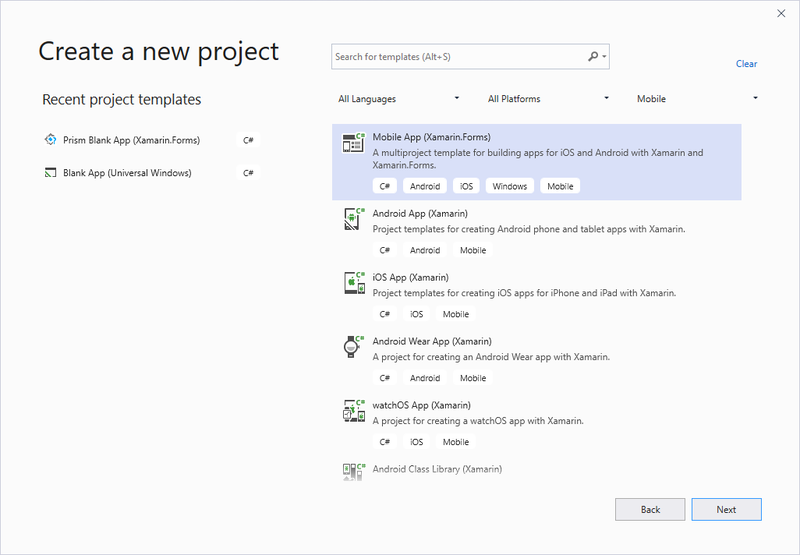 As some of the controls included in Telerik UI for Xamarin suite rely on the SkiaSharp rendering library, you should either install SkiaSharp.Views.Forms in all projects included in the Xamarin solution (portable, android, ios, etc.) or in case you do not intend to use any of the Skia-dependent components (Gauges, Rating, BusyIndicator), you could reference the Lite assemblies.